I picked up some beautiful fresh figs from my local markets yesterday (Orange Grove in Lilyfield, Sydney if you’re ever in the hood on a Saturday from 8am-1pm). They werent cheap but i had to have them! I love figs & basil so also picked up some super fresh basil from the markets. **or just don’t follow this method at all & do however you like! 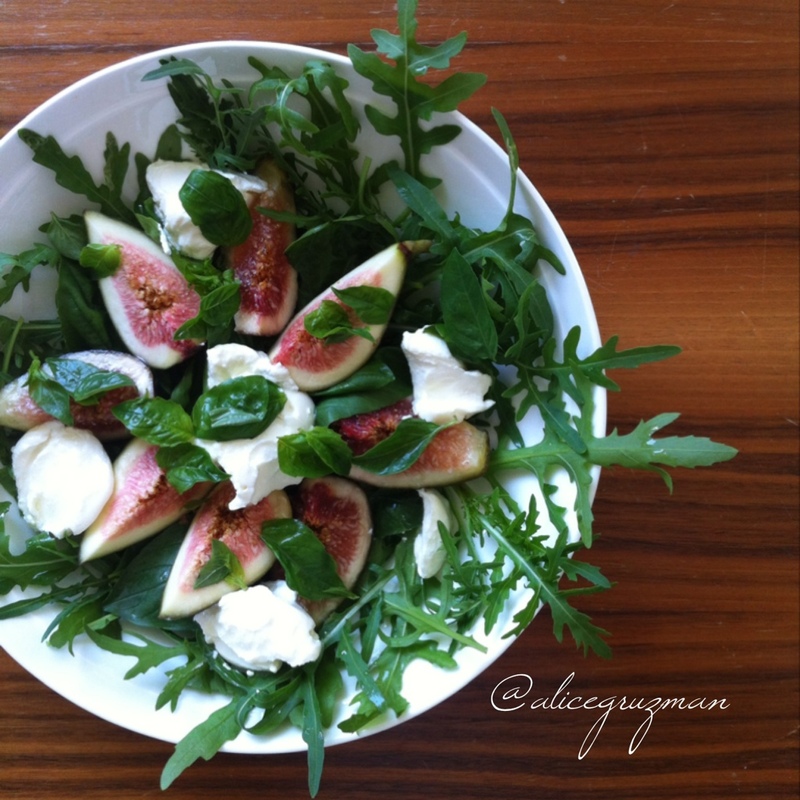 I find the salad doesn’t need any dressing as the labanne is so creamy & the flavours compliment each other – peppery rocket, fresh basil, sweet figs & salty, creamy labanne. You could add some olive oil & salt if you felt it needed it. This entry was posted in Recipe and tagged basil, cleaneating, Fig, figs, Health, healthy, iqs, iquitsugar, labanne, nourishingfood, Raw, rocket, salad, sarahwilson, summerfood, vegetarian, yoghurtcheese by 6 Clean Ingredients. Bookmark the permalink.